Hi, Everyone! 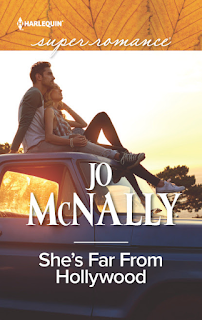 I’m Jo McNally, a brand new Harlequin SuperAuthor (saying that makes me feel like I’ve joined a band of superheroes). My debut novel, She's Far From Hollywood, will be released in February 2017, and I can’t wait. 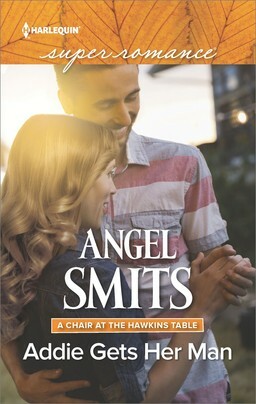 It has a sassy heroine and a grumpy hero, and they were both so much fun to write. 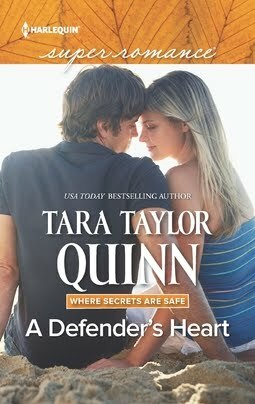 Check out the cover below, just released last week (isn't it pretty?). It really is a dream-come-true. And guess what? There’s at least one follow-up book coming to the SuperRomance collection after that. 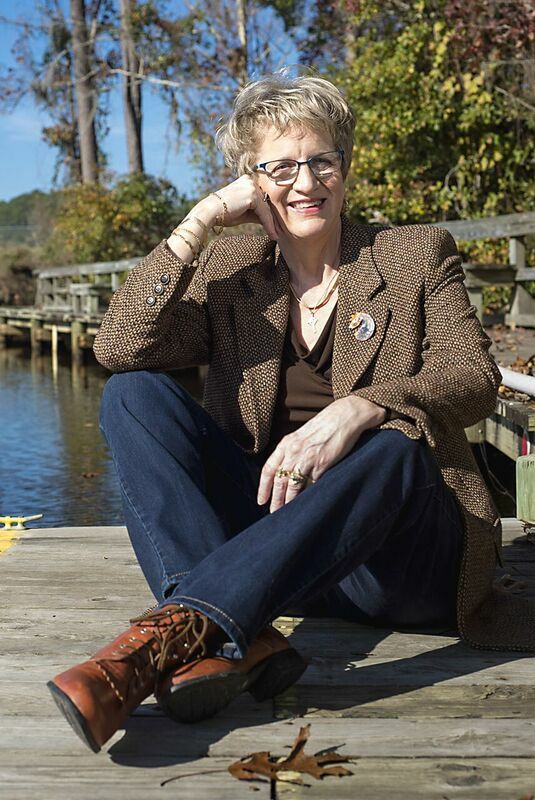 I spent years thinking about writing romance novels. In fact, I started writing my first back when I was ten years old (and it was set on a farm, just like She's Far From Hollywood!). Then I got sucked into the corporate world. I often read romance novels late into the night, and I preferred longer, more complex stories, with subplots, secondary characters and a lot going on. I think one reason I like longer stories is that when I fall in love with a book, I never want it to end! Even back then, I knew Harlequin was the gold standard for romance publishing. And SuperRomance is the series that has all the things I want as a reader – longer, layered, more complex romances with great characters and lots of emotion. Well, the whole, long story is told on my website, but the short version is that I realized climbing the corporate ladder wasn’t my life dream—writing romance was. She's Far From Hollywood is actually my third manuscript, and I really believed in it. So I decided to make a serious investment in myself, joining Romance Writers of America and signing up to go to their annual conference, which was in New York City last year. Included in registration is a 10-minute pitch session with editors and agents. It’s kind of like speed-dating for writers, and it’s very intense. When I arrived for my session, I was totally prepared to meet the editor I’d signed up to meet (I even practiced how to pronounce her name!). But the lovely woman waiting for me explained that the scheduled editor was ill, so she was filling in. Oh, great, I thought, it’s not even the editor I rehearsed for - just my luck. 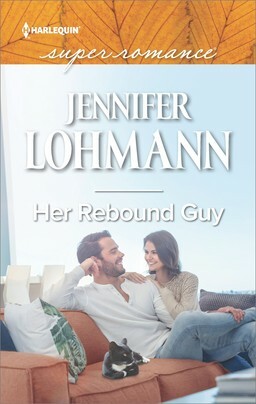 But I smiled gamely and sat down, telling her that I thought my book would be perfect for SuperRomance, in hopes that she’d tell someone in that department. That’s when Victoria Curran laughed and told me I was in luck, because she’s the senior editor for SuperRomance. Score! Victoria was enthusiastic about my pitch and requested a full manuscript. I was beyond excited. But it was another two months before I got The Call. Victoria offered me a contract for what became She's Far From Hollywood, and she worked with me to make it the best story possible. A year later (almost to the day) after getting that call, I’m still pinching myself. Ugh! This is such a tough question. There are so many authors I love, and I’m always finding new ones. Outside of the terrific SuperRomance authors, my go-to writers include Susan Mallery, Mariah Stewart and Virginia Kantra. When I want things a little spicier, I go to Jill Shalvis or Shannon Stacey. And I’m constantly finding new-to-me authors. I just can’t stop reading! I was unprepared for the s-l-o-w-n-e-s-s of it all. It’s routine for a year or more to pass between contract signing and publication, and that was a shock. But on the bright side, the camaraderie of the publishing world was a very pleasant surprise. There is this huge, supportive community of authors, regardless of genre. Everyone cheers each other on, and they take the time to help new and struggling authors. It’s such a joy to be a part of it, and the SuperAuthor group is just a microcosm of that wonderful environment. It sounds corny to say it’s a family, but that’s truly how it feels. I love Christmas, but in our house, the big one is St. Patrick’s Day. My husband is a Boston Irish boy, and we’ve made several trips to the Emerald Isle to visit his relatives. I love the land, the people, the history and especially the music. We have a huge party every year with plenty of singing and lots of corned beef and cabbage. And Himself wears his kilt! No one? That’s a toughie - people who know me are rarely surprised by anything. But one of my fun facts is this: I collect hedgehogs. Not live ones. But I have stuffed hedgehogs, pinecone hedgehogs, cement hedgehogs, wooden hedgehogs, porcelain hedgehogs, terra cotta hedgehogs, and even a crystal hedgehog! I started collecting as a child, and I have at least a hundred in and around the house, much to my husband’s...um...amusement (that’s probably not the word he’d choose!). Well, I'm not far from there now, living in Eastern North Carolina, but I’d love to actually live right at the beach. I adore listening to the ocean surf - it’s my favorite sound in the world. And walking along the water’s edge is my idea of the perfect thing to do. Thanks for learning a little about me, and I look forward to getting to know the SuperRomance writers and readers. 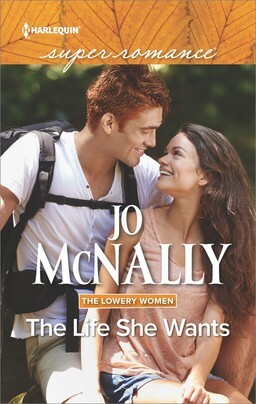 Please visit my website, www.jomcnallyromance.com and sign up for updates on She's Far From Hollywood and more SuperRomances to come. You can also find me on Facebook (@JoMcNallyAuthor), Twitter (@jomcnallyauthor), Instagram (jo.mcnally) and Pinterest (@jomcnallyauthor). And don’t forget to check out the SuperAuthor Facebook page, where we all like to share inspirational stories, recipes, pet shenanigans, and Throwback Thursday fun. Thanks, Colleen - it's an honor to be with the Supers! Congratulations!! I really enjoyed your interview, and the cover of your upcoming book is great!! Always nice to read about "the camaraderie of the publishing world". What a lovely bonus! Thanks, Laurie. I don't think it's always happens that a cover ends up exactly the way an author imagines it, but this one sure did! Thanks for the welcome, Laney. I am grateful to be part of a community that is so uplifting. Congrats on your first book. Looking forward to reading it. Thanks, Tammy - I hope you love it! So great to meet you at The Emerald. Downloaded your book, loved it! Great read! Can't wait for your next one! !